Karen is an experienced nurse academic who has worked in nurse education since 1986, starting as a clinical tutor (ITU), then a nurse tutor, senior lecturer, and director of practice and work-based learning. 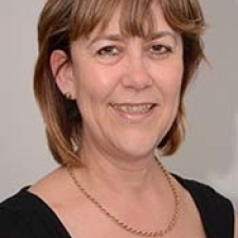 She joined Kingston & St George's in 2011 and is currently head of pre-registration nursing programmes, course director for the BSc Nursing and deputy head of the School of Nursing. Her professional interests lie in practice education with a particular focus on how students are prepared for learning in practice, as well as mentor development and support, and developing a high quality educational experience for student nurses. Karen is an experienced author of both books and journal articles and a seasoned conference speaker. Externally, she is a reviewer for the Journal of Advanced Nursing and Nurse Education in Practice and an external examiner at Wolverhampton and Bournemouth universities.